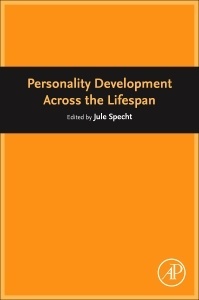 Personality Development across the Lifespan examines the development of personality characteristics from childhood, adolescence, emerging adulthood, adulthood, and old age. It provides a comprehensive overview of theoretical perspectives, methods, and empirical findings of personality and developmental psychology, also detailing insights on how individuals differ from each other, how they change during life, and how these changes relate to biological and environmental factors, including major life events, social relationships, and health. The book begins with chapters on personality development in different life phases before moving on to theoretical perspectives, the development of specific personality characteristics, and personality development in relation to different contexts, like close others, health, and culture. Final sections cover methods in research on the topic and the future directions of research in personality development.